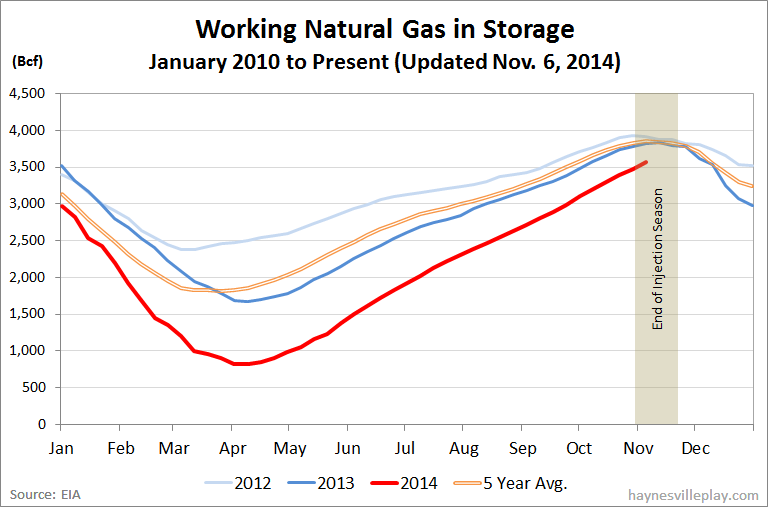 Natural gas keeps roaring into storage, as evidenced by a 91 Bcf weekly injection, bringing the EIA working gas in storage to 3.571 Tcf. The injection was 2.6 times greater than last year (+35 Bcf) and 2.2 times greater than the five year average (+42 Bcf). 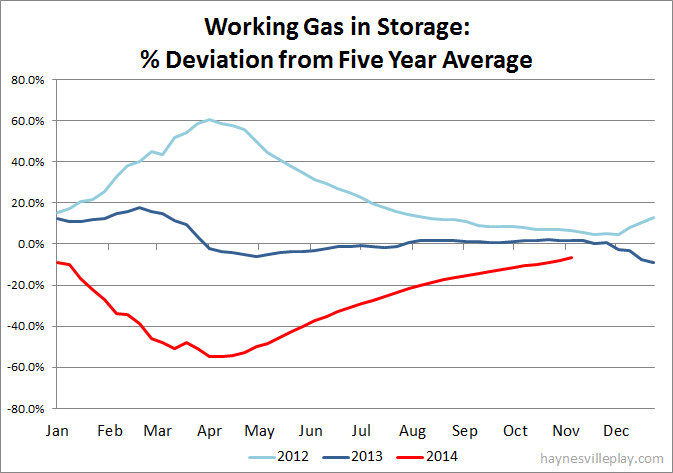 The current storage level is now 6.2% below last year (3.809 Tcf, a difference of 238 Bcf) and 6.8% below the five year average (3.832 Tcf, a difference of 261 Bcf). Unseasonably mild temperatures dominated the country last week as temperatures in the Lower 48 averaged 57.6 degrees, which was 7.6 degrees warmer than last year and 5.1 degrees warmer than average.